Welcome to the DYSCOVR open beta for project LD36 on exo-planet 543.14.543T! You (and your fellow DYSCOVRites!) 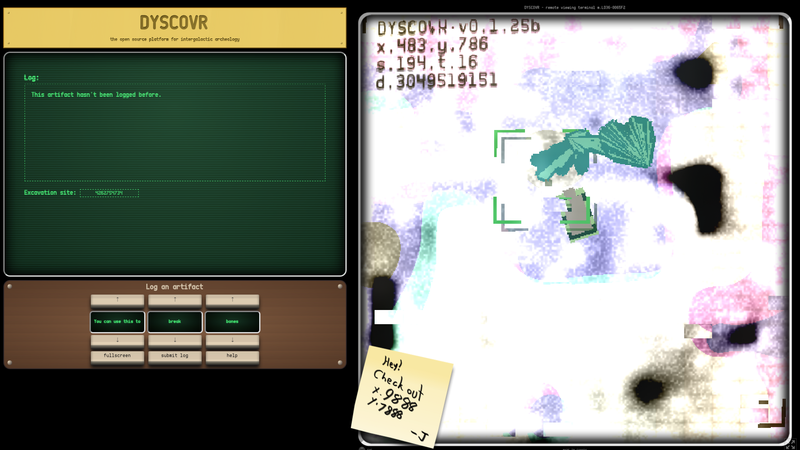 will traverse the planet in your very own DYSCOVR ROVR, digging for exciting artifacts of a lost civilization. 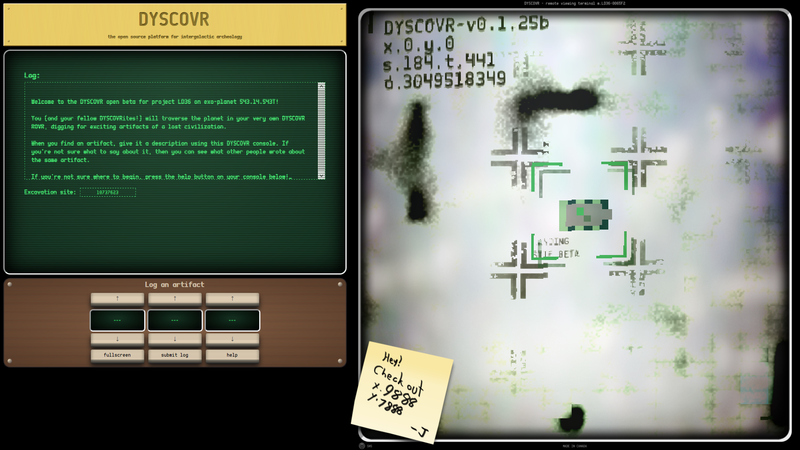 When you find an artifact, give it a description using this DYSCOVR console. 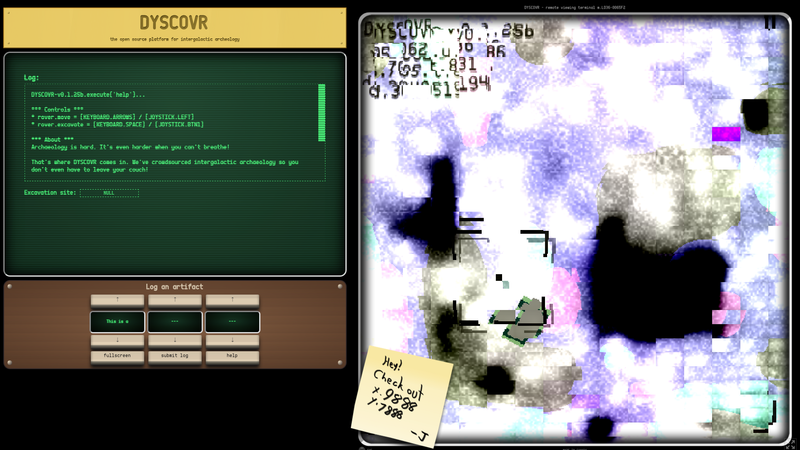 If you're not sure what to say about it, then you can see what other people wrote about the same artifact. If you're not sure where to begin, press the help button on your console! Made by Sean, Ian, and Ryan for Ludum Dare 36 using Pixi.js.